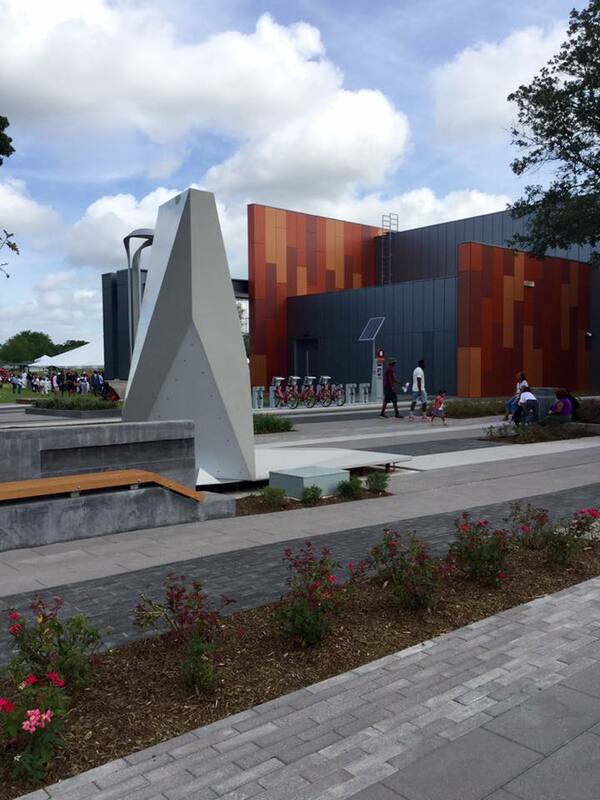 Demiurge worked with architecture firm, Perkins & Will, to design, fabricate, and install a set of large monuments in the newly redesigned Emancipation Park in Houston, Texas. 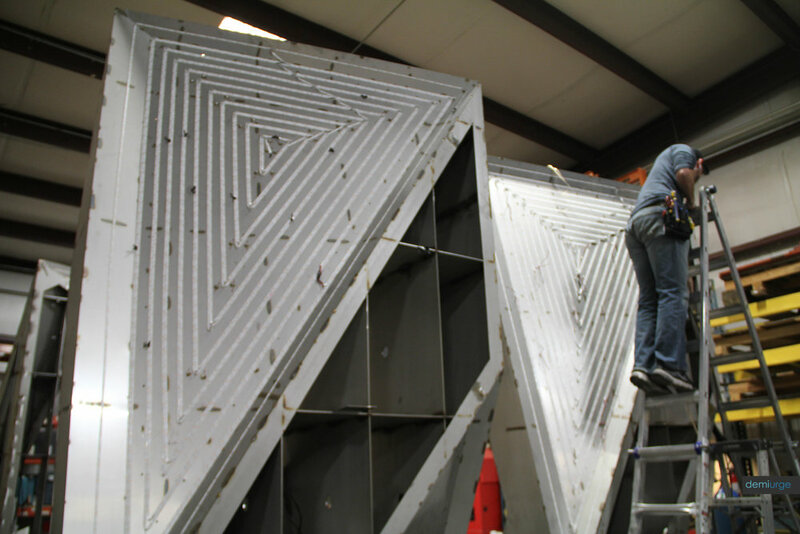 The project consists of four corner monuments and two large gateway pieces. 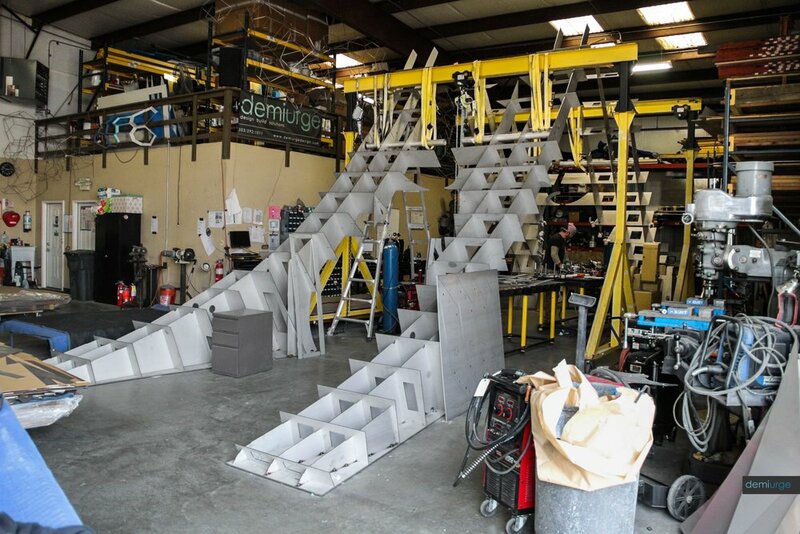 The basic forms were designed by the architecture team while the design development, engineering, construction drawings, fabrication and installation were done by the Demiurge team. From inception to completion the project took nearly four years and has been well received by the local community. The corner monuments are faceted angular forms. 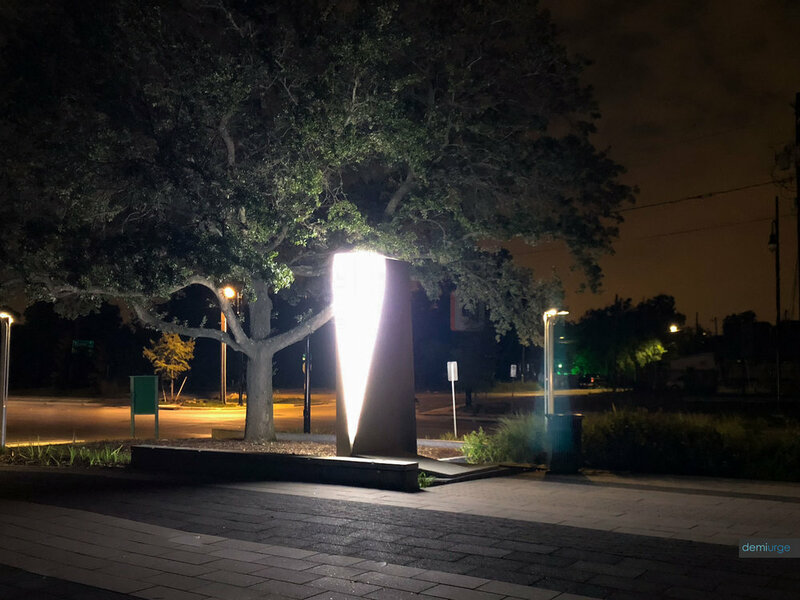 They are approximately twelve feet high and are made of stainless steel, a manufactured stone called Dekton, and translucent acrylic. The acrylic panels are back lit with weatherproof LED strips. 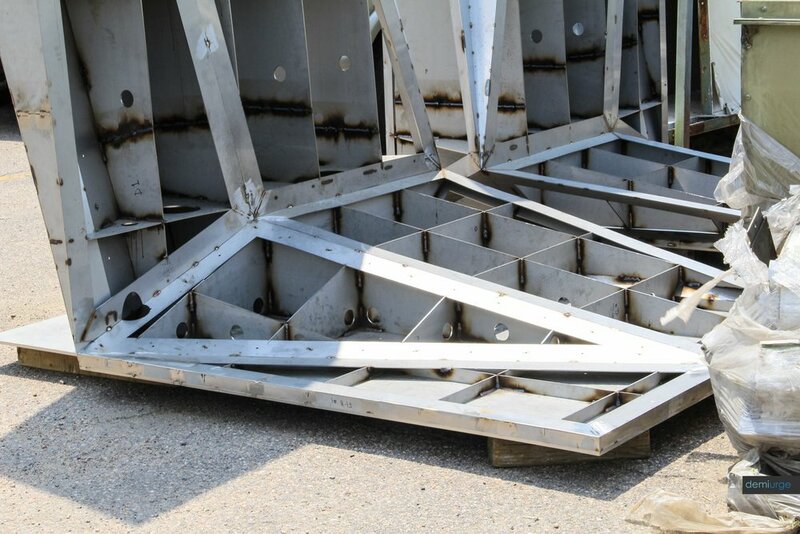 They have an internal waffle structure of stainless steel with access holes for electrical components. The four monuments consist of two identical versions and another that is copied but mirrored. Behind the lit panels are three inch deep lenses. The stone and acrylic panels that clad the entire outer surface are mitered to create smooth transitions between the materials. The gateway monument consists of two identical structures that flank the main axis of the park. The internal waffle structure is stainless steel. 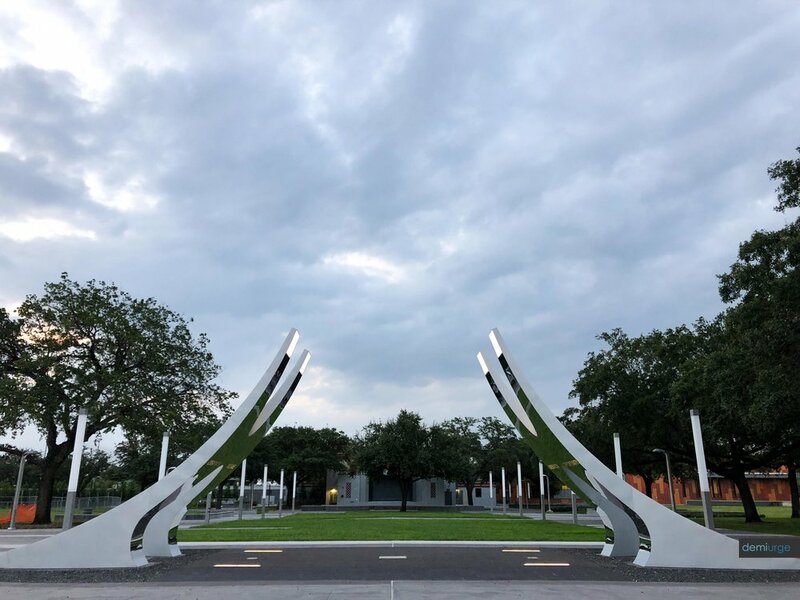 The monuments are clad with Dekton stone panels on the upper surfaces, sand blasted stainless steel on the sides, mirror polished stainless steel on the undersides, and translucent acrylic at their tips. The mirror polished undersides have inspirational words etched into them and the acrylic tips are lit from within.